Question: Why is the launch vehicle called Rockot? Answer: Rockot is the English spelling of the Russian word "Рокот" (Cyrillic letters) which means "rumble". Question: Where is Eurockot located? Answer: Eurockot Launch Services GmbH is registered in Germany and is located in Bremen, Germany, with its offices located at Bremen airport, two minutes from the arrivals hall, within the same building as the Hotel Atlantic. Question: How long will the Rockot launch vehicle remain available? 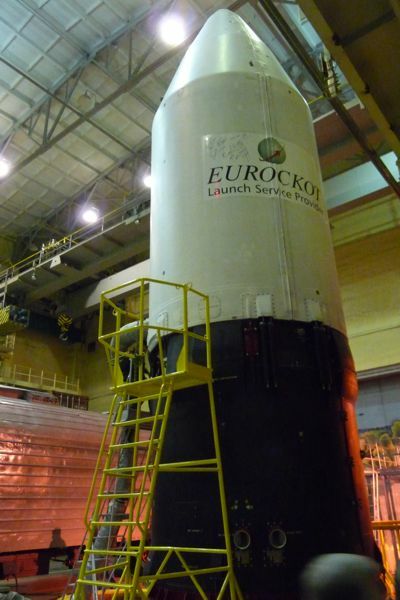 Answer: Rockot will be phased out during the course of 2017 after remaining Eurockot and Federal launches. Question: What is the correct designation for the SS-19 ICBM? Answer: the name SS-19 Stiletto is the NATO reporting name for this particular series of missile. SS refers to surface to surface and the number 19 and name Stiletto is assigned to this particular version of ICBM. In the Russia the official designation for this family of missiles is RS-18 or UR-100N. Question: What is the reliability of Rockot? Answer: Rockot's reliability is summarised in the Rockot User Guide. 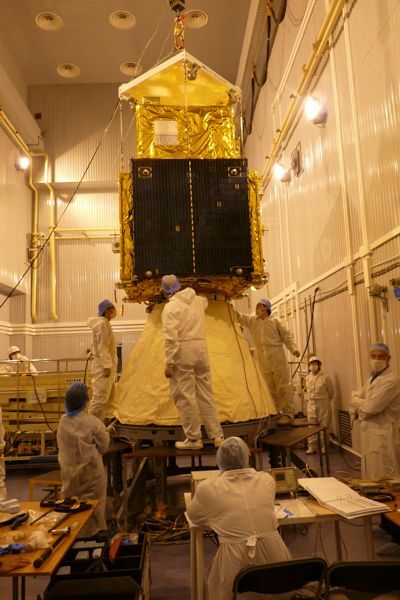 To date the Rockot vehicle which includes the Breeze upper stage has a launch record of 28 successes out of 30 launches (including 3 successful launches of Rockot/Breeze-K). The SS-19 without the Breeze upper stage operated as a military missile has a launch record of over 150 launches with only 3 failures early on in its career which stretches back to the 1970s. 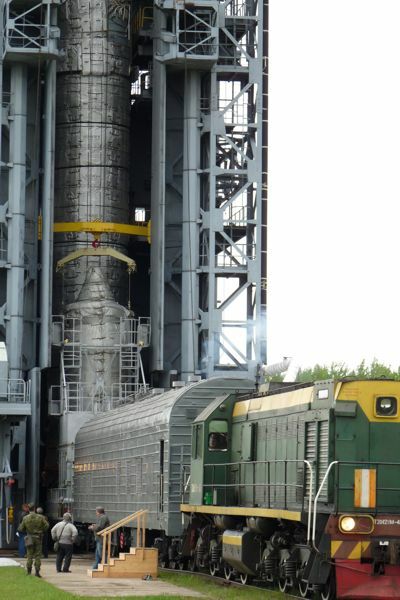 A test launch of either the SS-19 or the Rockot is conducted on an annual basis to guarantee the reliability of this launch system and provide training for the space forces. 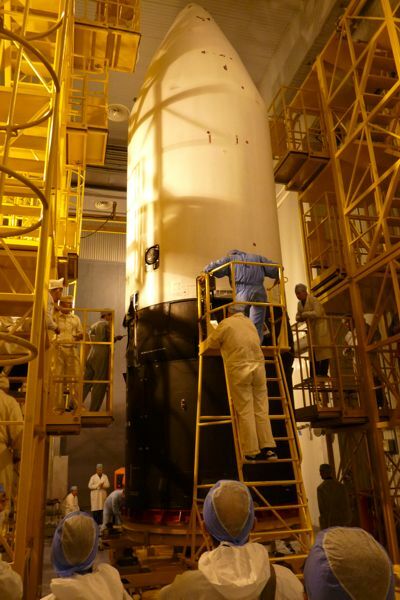 Answer: Plesetsk is located just below the Arctic circle in the Archangel region of Russia about 800 km north of Moscow at the geographical co-ordinates 63 deg N, 40 deg E. It is the premier launch site within Russia. 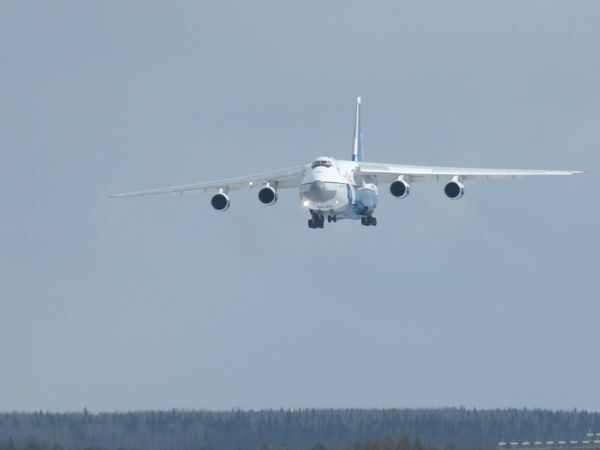 Today, it is still a military base, but commercial launches are operated from there on a regular basis by Eurockot. Question: Is Rockot launched from a launch container or silo? 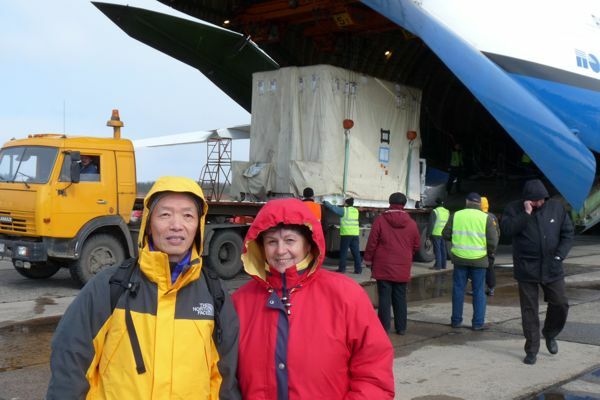 Answer: Rockot is launched from a launch container, officially called the Transport and Launch Container (TLC). 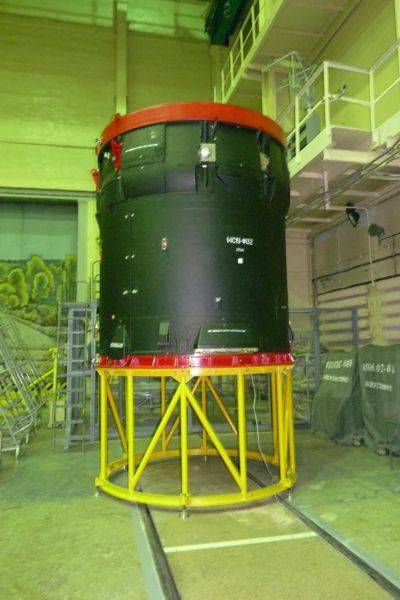 This TLC is the same as that used for the SS-19 ICBM from the silo except that it has an extension added to it for the Breeze upper stage. 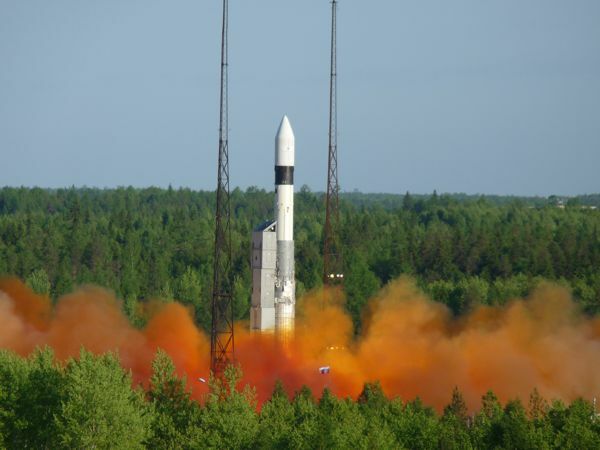 For commercial launches from Plesetsk the TLC is placed above ground. The launcher engines are ignited and the vehicle leaves this TLC under its own thrust. Launching from the TLC assures compatibility with the previous silo launched SS-19. Launches above ground also assure that the acoustic noise levels are comparable to other commercial launches and are not as high as if they were launched from a silo.